Surface to Air specialises in Modern Methods of Construction (MMC). They are the winner of the Offsite Award for Educational Project of the Year (2018), Surface to Air are known for design excellence in the Education, Residential and Build to Rent sectors. Surface to Air are currently working on a range of projects offering both consultancy and design services in the UK from £250k to £200 million. Bold and progressive, creatively-minded and with a wealth of technical knowledge and expertise – our London-based studio is home to talented architects, designers, project managers and artists who work collaboratively to achieve the highest design quality and originality on every project, for every client. We’ve worked hard to develop a reputation for design excellence, focused client engagement and seamless project delivery. As Surface to Air's founding director, Holly has over 15 years’ architectural experience, exemplified by her extensive portfolio of successful, award-winning projects. She is also the Founder of Chicks with Bricks, a quarterly networking event that champions the role women play within the UK’s construction industry. Heidi Moxon is a Director with an outstanding reputation for design excellence. She has extensive experience in both architecture and interiors. Specialising in the residential sector and is currently directing the design for the Millbrook Park housing scheme. 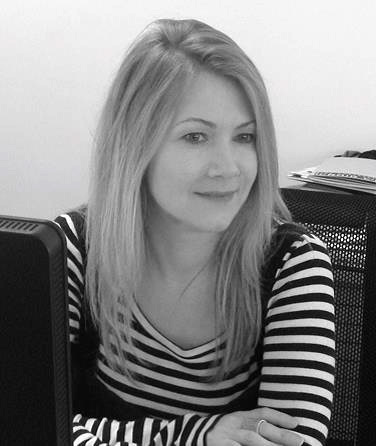 She is also a RIBA mentor and visiting critic at various London schools of architecture. With an exceptional reputation for producing outstanding designs and his strong technical expertise, Jonathan joined Surface to Air in 2014. Playing an integral role in some of the studio’s most high-profile projects, Jonathan is a lead consultant within the design team, overseeing technical delivery as well as mentoring of the studio’s Part 3 students.